Join thousands of IT professionals from around the world for Hewlett Packard Enterprise’s largest IT event of the year. Discover 2017 takes place in Madrid 28 - 30 November. As the capital of Spain, Madrid boasts a rich culture, making it a wonderful location for this global gathering. Learn how the City of Sparks in Nevada replaced its Wi-Fi system using Aruba & HPE networking products to create a mobile workplace for City Hall employees. Hear how we upgraded all switches to Aruba OS and used Layer 3 routing to replace older firewalls, how we interface with other agencies and the state of Nevada, and how we are using Aruba Clear Pass to enhance security. Find out how Aruba Beacons help people find city services at City Hall, and learn about our outdoor “beacon” mapping system at our major Softball Regional Park. Register online here. Connect with the experts at this roundtable discussion about HPE Networking's products. Discuss solutions for mobility and Software Defined Networking, and learn how customers are deploying these technologies to solve today's business challenges. This is a great opportunity to speak directly with HPE technologists and networking experts. At this session, you will learn how University of Münster gets the most value from HPE 3PAR StoreServ for file services and virtualization. You will receive an overview of implementation and leveraged technologies, as well as future options. Find out how University of Münster utilizes HPE 3PAR Peer Persistence Software in a multi-tier storage strategy to deliver file services via the HPE StoreEasy Storage Gateway and virtualization based on VMware vSphere® and Citrix® XenApp and XenDesktop®. Stay after the session for an informal roundtable discussion with HPE’s Storage Guy, Calvin Zito. Register online here. 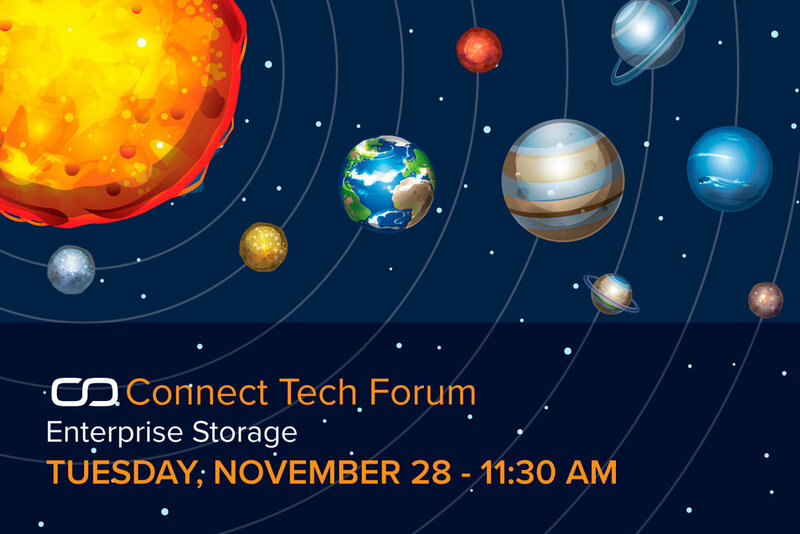 Connect with the experts at this roundtable discussion about HPE's storage products and solutions, including 3PAR, software defined storage, HPE StoreOnce and HPE MSA Storage. Learn how customers of all sizes implement and use HPE storage products, and connect with HPE technologists to provide feedback and enhancement requests directly to HPE. The music business is transforming at a rapid rate. Join us to hear about the journey of the Society of Composers, Authors and Music Publishers of Canada (SOCAN) to the all-flash data center. Learn how SOCAN solves key business challenges by leveraging HPE 3PAR All Flash Arrays. Register online here. OpenVMS is moving forward, with rapid software innovation from VMS Software Inc. New Itanium servers will be supported and OpenVMS is on its way to x86, either bare metal or virtual, on premise or in the cloud. Hear from experts how companies are actively updating their infrastructure to take advantage of the new relevance of OpenVMS. Register online here. Find out how HPE’s largest user community can help your organization leverage our global membership to create a partnership with local chapters, members, and an advocacy program for a successful project deployment. We will showcase our two publications, “The Connection” a Journal for the NonStop Community, and “Connect Converge” our Quarterly Online HPE Enterprise Technology publication. Learn how HPE Partners work with Connect Members to build long term relationships that make your customers successful, which allows you to be successful too. Register online here. As the City of Sparks in Nevada begins their shift to HPE Synergy, a lot of research and thought is involved in the planning process. As our aging c7000 blade chassis’s are nearing end of life, hear a discussion on why we are researching a move to HPE Synergy and the steps we are taking to make sure that our plans allow the city’s Infrastructure Team to stay ahead of the curve. Register online here. Shall I stay or shall I go? What are the questions you should ask when considering the next move for your HP-UX environment? This forum will help you explore the value of newly available Integrity i6 servers, including a performance boost with NVMe support, and the future possibility of running HP-UX in containers on x86. Learn through customer case studies how your peers are modernising their UNIX infrastructure. Register online here. Connect with global enterprise UNIX® peers for a Roundtable discussion about HP-UX, including the future of HP-UX, mission-critical computing, Integrity and beyond. Share best practices and provide feedback and enhancement requests directly to HPE technologists. Today's industry standard servers and software give you the possibility to get the best of both worlds. Replace expensive proprietary infrastructure that is starved of innovation, and move to industry standards. Get UNIX-like availability and scale on lower-cost, more innovative platforms. Does it work? We will cover a major banking project that replaced RISC servers with Superdome X running Linux, and the benefits the bank is experiencing as a result. Register online here. HPE continues to innovate on mission critical x86 servers. On the software side, HPE equips customers to protect and secure their Linux environments. Hear about the latest Serviceguard for Linux capabilities for SAP HANA, new Application Tuner Express to accelerate workloads on NUMA servers and a completely new and automated way to secure your system against threats and meet security compliance requirements. Discover how customers are getting value from all this new software innovation. Register online here. Hewlett Packard Enterprise is adapting and changing our learning modalities for today's digital native with the launch of the HPE Digital Learner Framework. This new content as a service subscription program increases access to meaningful learning, when and where you need it, in the modular form you want it, with incentives for both the students and the organization. Come and learn more about the program and get your digital badge to show your HPE proficient technology professional status. Register online here. Connect with the experts on the HPE Software-Defined and Cloud team at this Roundtable discussion about converged management, hyperconverged appliances and Composable Infrastructure. Learn where the data center of the future is heading, how a simple integrated management experience is sweeping through the data center and how customers are successfully delivering a cloud experience across their data center infrastructures. This is an excellent opportunity to discuss your data center infrastructure concerns directly with HPE technologists. From the data center to the network, big data and social networking, security is now a crucial part of every IT conversation. Connect with the experts at this Roundtable discussion about enterprise security. Share best practices, offer feedback and speak directly to HPE technologists in a small, intimate setting. Register online here. This session will discuss the importance of leveraging the existing technology user groups to organically build a more focused community to serve its individual needs and goals. Discussions will include a real life example within an HPE user group, as well as an open floor to discuss ideas for the future. Register online here. Support for virtualization and cloud is a new milestone in the journey of HPE NonStop, keeping it in tune with the fast-paced changes taking place in enterprise IT. HPE Virtualized NonStop allows you to host NonStop solutions within your enterprise private-cloud software-defined data center (SDDC). In this environment, you use OpenStack® to deploy Virtualized NonStop systems as Kernel-based Virtual Machine (KVM) guests running on your Linux®-based Intel® x86-64 infrastructure. Register online here.